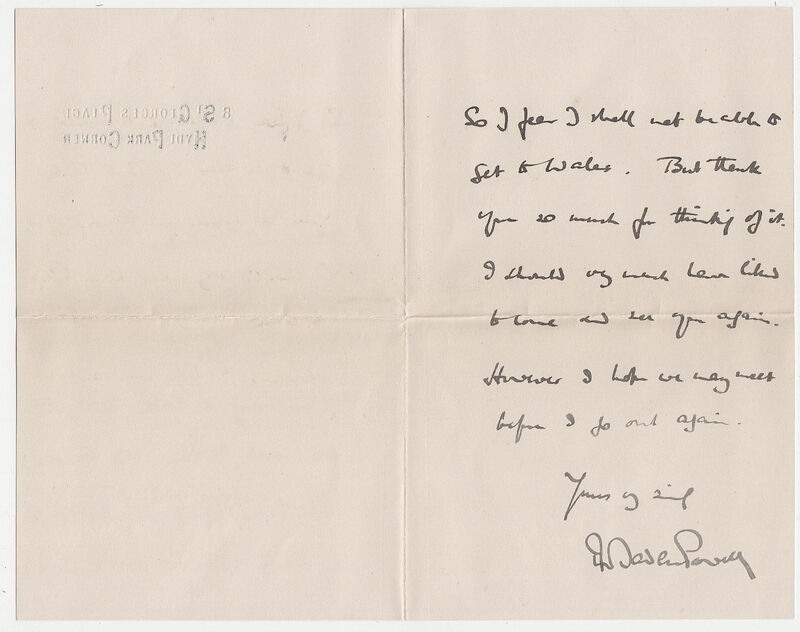 Autograph Letter Signed ‘R.Baden Powell’, to Sir Francis de Winton, explaining that he is only in town “to see Lord Milner off tomorrow”, and that then he is going “away North for a month of fresh air & sleep!” 2 pp. 7 x 4 inches, horizontal fold, in superb condition. 8 St. George’s Place, Hyde Park Corner, 8 August [1901?]. 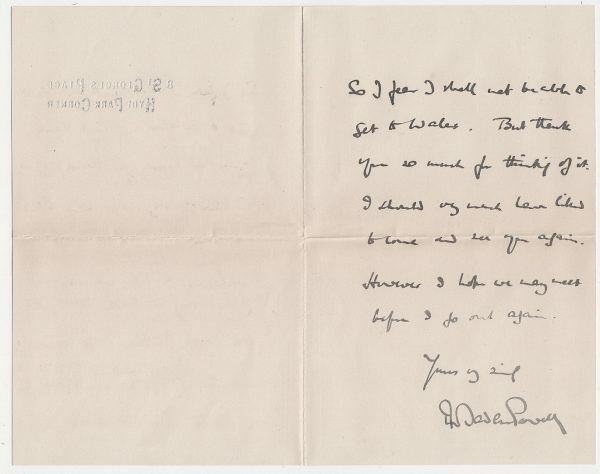 Robert Stephenson Smyth Baden-Powell, first Lord Baden-Powell (1857-1941), hero of Mafeking (relieved in May 1900), founder of the Boy Scouts.